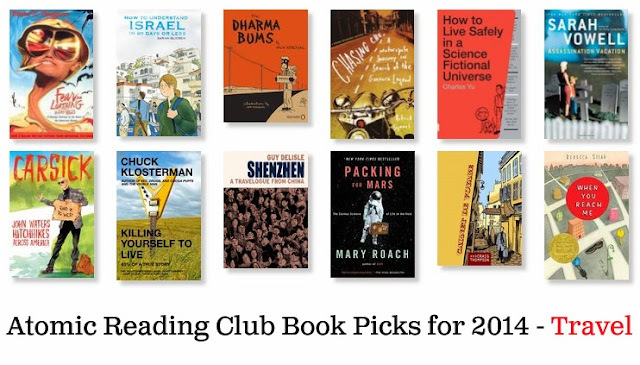 Atomic Reading Club 2014 - Come on Board! We're getting out of town for 2014. Set a course for adventure. The final frontier. As always, the titles are 15% off for Reading Club members and all you have to do to join is tell us at the counter! Discussions for each title is the last Wednesday of the month, at Atomic Books in the Eightbar, 7:30pm (Happy Hour prices for club members)! The new issue of Girls and Corpses (Volume 7 Winter) features an interview with John Waters conducted by our pal Shawna Kenney. Maximum Rocknroll (#368) has a review an awesome review of Sick Thoughts new LP, Need No One (available at Celebrated Summer Records!) by Graham Booth. 8469 is a super-beautiful art book half-drawn by Jeral Tidwell, with the other half drawn by Sarah Smith. Any fan of Night Watch zine or Amigos de los Muertos can dig this.